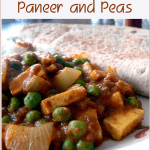 Indian Curry with Paneer and Peas is a very satisfying vegetarian Indian dish made with a tomato cream base that includes paneer and peas. If you’re not familiar with paneer, it’s a rennet-free cheese product that is popular in South Asian cooking. While it is technically a cheese, it has the texture of tofu. It also absorbs the flavors of what it’s cooked in, much like tofu. 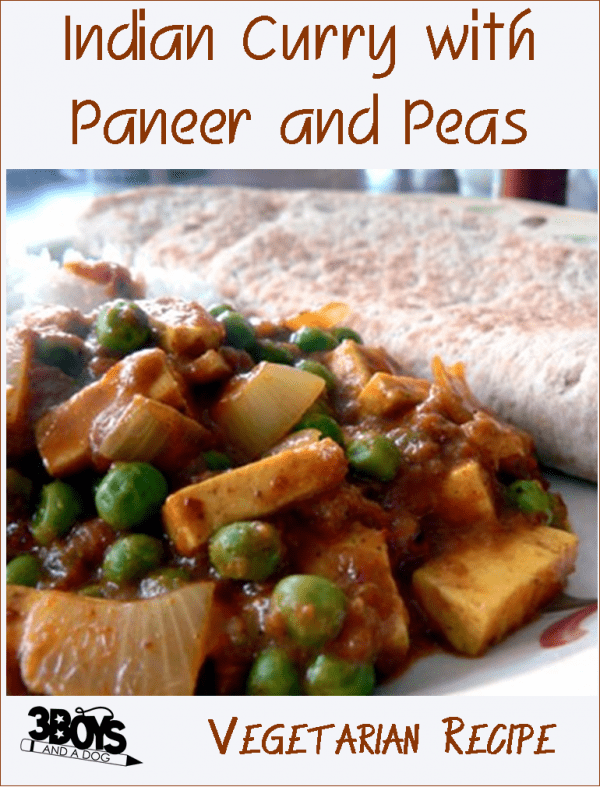 This Indian Curry with Paneer and Peas recipe is is quite easy to make and can be on your plate in about 30 minutes. Gather up and prepare all your ingredients including dicing the onion, creating your tomato puree, dicing the paneer, etc. Heat the oil in a large frying pan and add the garlic and onion. Cook for a few minutes until tender. Now add the tomato puree and continue to stir until heated through. Next add the peas and paneer, stirring occasionally. 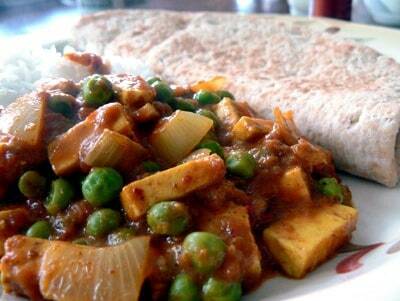 Cook for about 3 minutes to fully heat the paneer and cook the peas. Add the sour cream and mix thoroughly. Serve with basmati rice and naan bread. This looks so good. I just love curry.